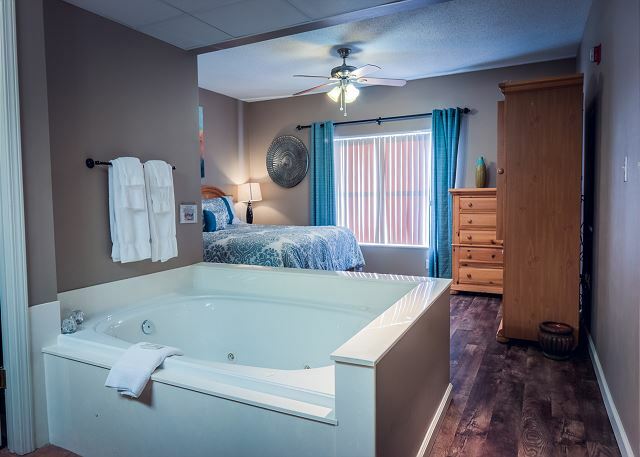 Completely Remodeled with New Paint, Furniture, Decor and Flooring! 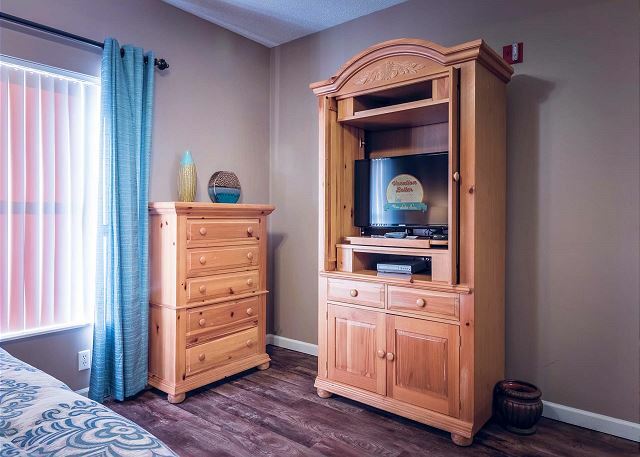 This beautiful two bedroom condominium is located a block off the Pigeon Forge Parkway and offers an affordable, yet luxurious vacation for any small family or group of friends. We offer King Bedrooms, Full Bathrooms, Washer/Dryer, Full Kitchen, Dining Area, Spacious Living Room, Free WiFi and a Private Balcony. 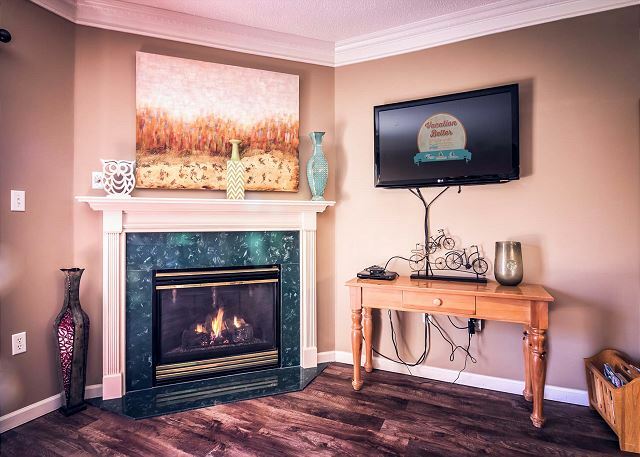 In the Fall and Winter, you can enjoy the Seasonal Gas Fireplace and the Balcony is a great place to start your day with a cup of coffee. The Full Kitchen offers all utensils and pans so you will have everything you need should you decide to cook breakfast, lunch or dinner. We like to take vacations ourselves and we know what we like to have when we travel so we have tried to think of everything for you. We do hope you choose to spend your Pigeon Forge Vacation with us! 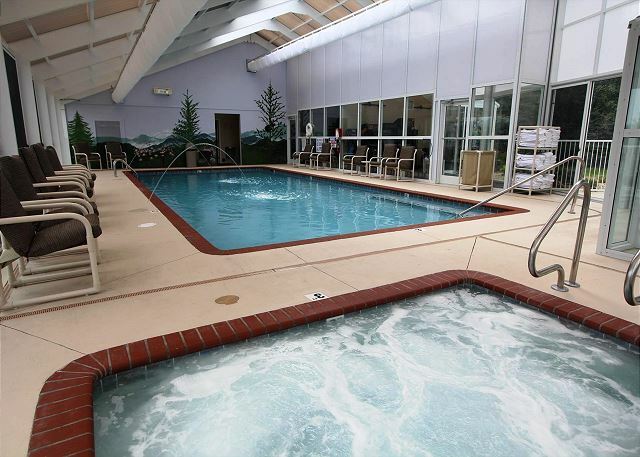 Whispering Pines Condominium Property Amenities include: Corn-hole, Sauna, Fitness Room, Indoor Pool, Indoor Hot Tub, Seasonal Outdoor Pool & Hot Tub, Seasonal Outdoor Lazy River & BBQ Grills under a Pavilion. Thank you, Vickie! We're happy to hear that you were able to add another great trip to your list in condo 412. It's a beautiful unit and we can see why you always like to try to stay in it. We can't wait to see you again soon! The location of this condo is great. The condo was very well maintained and clean. The condo is very nice and decorated nicely. The bed was comfortable. The only complaint that I have is that the hot tub doesn't get hot enough. Thank you for staying with us at Whispering Pines! 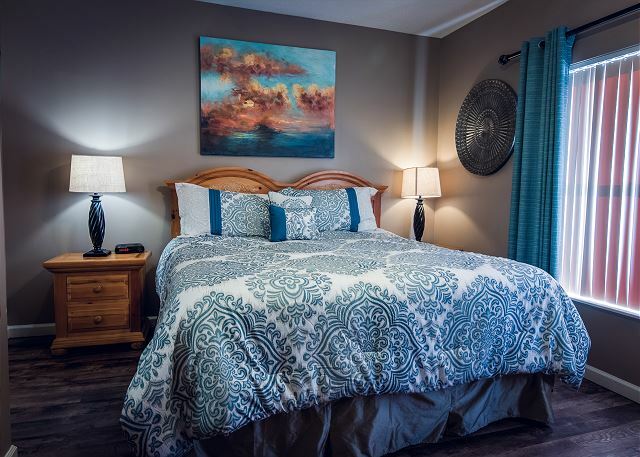 We're absolutely thrilled to hear that you had a great stay in condo 412, the owners recently remodeled the unit and they're going to love getting to hear your thoughts about the decor. We truly appreciate you and your kind comments regarding the cleanliness and our ideal location, they mean so much to us. We do want to thank you for letting us know about the hot tub, we are having our maintenance staff take a look at it. We are very sorry for the inconvenience. It sounds like other then that, you were able to have a wonderful time and we're glad. 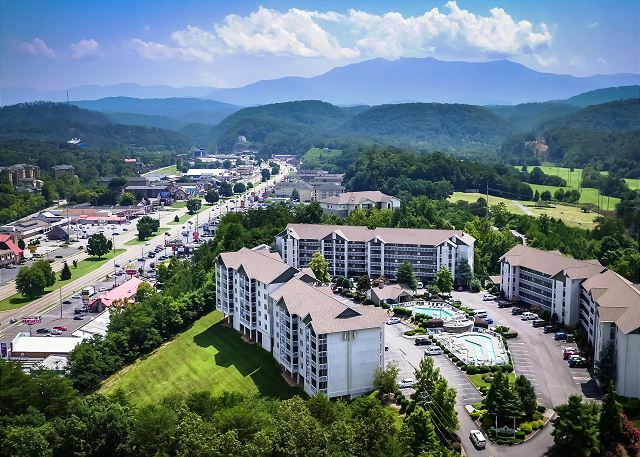 We hope you'll stay with us again the next time you visit beautiful Pigeon Forge! Condo was perfect for family of 5. Great location. VERY clean. If we ever return we would definitely stay in 412 and would highly recommend this unit. Thank you so much for the kind review! We love that you enjoyed you stay with us and hope to see you again soon. Whispering Pines 412 is very nice and clean! Great location right off the parkway! I think we finally found a place in the smokies that we will continue to use over and over. Beds are comfy and the condo is updated! Can’t wait for our next trip to 412! What a pleasant review and comments; thank you. We are happy that you have found a great location for your vacations in the Smokies and look forward to your staying with us for many years. 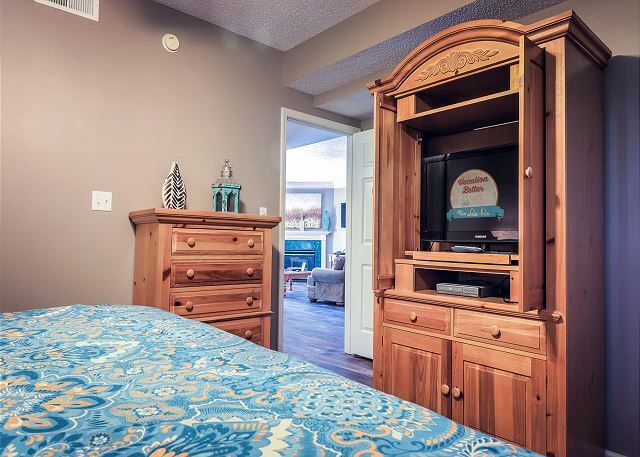 Glad you like the location, comfortable beds and an up-to-date condo decor. We are waiting for your return. Thank you, again. Love this property. We've stayed here several times. First time in this condo. It was comfortable, clean and quiet. Nice patio. Very convenient location, but enough off the main road for quiet. Thank you so much for continuing to stay with us at Whispering Pines! We're absolutely thrilled to hear that you had a great getaway in condo 412, it is a truly beautiful unit and the owners have actually just recently renovated it so they will love hearing your kind comments. 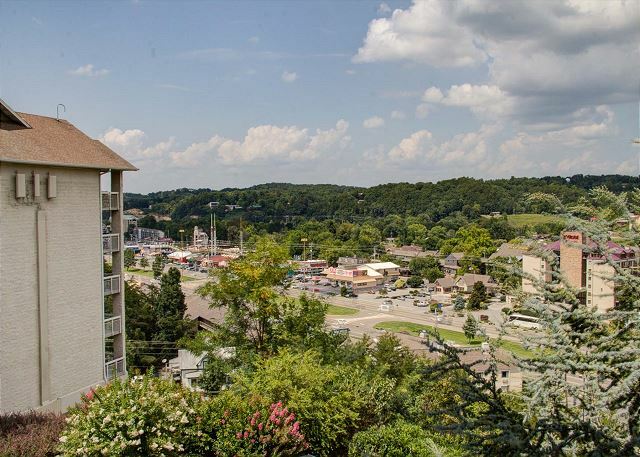 We're glad you enjoyed your private balcony and our ideal location, nothing beats getting to stay right in the heart of Pigeon Forge! We appreciate you and your excellent review and we welcome you to stay with us again soon! Enjoyed our stay at Whispering Pines. Everyone was friendly and helpful. Everything was clean and satisfactory. Would recommend this to anyone. We saw three shows (Hatfield & McCoy dinner show, Smoky Mountain Opry and the Comedy Barn). Ate at Texas Roadhouse, Krispy Kreme, Hardees for breakfast and the new restaurant by Comedy Barn. 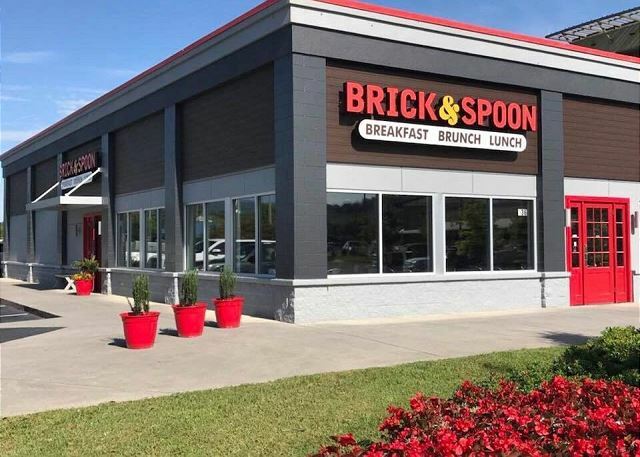 Other restaurants were out of Pigeon Forge. Great time had by everyone. Thanks!!!! Thank you so much for staying with us at Whispering Pines! Your kind words about our staff and recommendation truly mean the absolute world to us! It is just music to our ears to hear how great of time everyone had and about your experiences while visiting. We're glad to hear that you enjoyed the free ticket package and made the most of your vacation. We welcome you back to stay with us again soon! Love this place..Loved this condo...Clean as always...Very comfortable bed...Staff is great and helpful...Everyone is so nice and friendly. Thank you! It means the world to us that you feel this way. We truly try to welcome everyone as extended family & we are extra blessed to have great condo owners that keep their properties in such beautiful condition for our guest! We hope to see you next time! This was our first time staying here and we will definitely be staying again. This was my 7 month olds first vacation. She had a great time as well as our whole family. It was clean and well stocked with towels and things to cook if we needed too. They staff was very helpful and nice to work with. We will be back for sure. Maybe a new family tradition to stay here with a growing little one to love to come. She loved the lazy river as well. It was so nice to stay some where besides a hotel since we had a lot more stuff to bring along. It was so close to everything yet far enough away from the traffic to be a quiet location to take a break. We are excited that we were the first vacation place for your little one. Hopefully you will spend many vacations with us and make wonderful lifetime memories. We appreciate your Review, Title, and fantastic comments; looking forward to your return. The condo was very nice and clean. The pool areas, inside and out, were also very nice and clean. The staff was very helpful and friendly, and the packets with the discounts that were given to us were awesome! We were able to buy tickets to Ripley's Aquarium at the rental property and that was very convenient. It saved us a lot of time because we didn't have to stand in line at the aquarium to buy the tickets. I would definitely stay here again! Your high-praising comments are appreciated and will be passed to all our departments. We love for our guests to have a super fantastic vacation with us. Being able to avoid waiting in line for tickets saves our guest some time and remove some frustration. Again, we thank you and look forward to your return. We had a wonderful time at this property. I would recommend this unit. The staff is great - very friendly and helpful. We will use this unit again. Thank you so much for staying with us at Whispering Pines in unit 412! 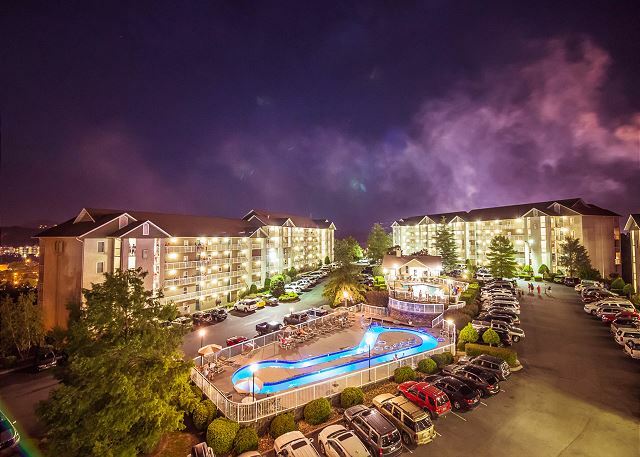 We are absolutely thrilled to hear that you had a great weekend while vacationing at our downtown Pigeon Forge Resort. We truly appreciate you and the kind comments regarding our staff and the property, they mean the world to us. We welcome you to stay with us again the next time you're visiting our beautiful area! As always we thoroughly enjoyed our stay. As always, we enjoyed seeing you and having you visit us again. Stay safe, hope to see you again, soon. Glad you had a relaxing stay with us. The condo was in excellent shape. All appliances worked and there were plenty of kitchen cooking and eating items. He place was very clean and the pool/lazy river was a big hit for the kids to relax and unwind each afternoon. Tickets to shows were discounted and reasonable prices. The staff was the best I have ever worked with concerning bookings and an overall good experience. They were always friendly and very helpful always. Their knowledge of the area was very helpful when planning activities day to day. Overall a very good experience and I would highly recommend whispering Pines to any one interested in staying in Pigeon Forge. Thank you so much for staying with us at Whispering Pines! We always love hearing that you got exactly what vacation is about; plenty of relaxation. We're pleased to hear that you found the property, staff, and amenities to be very accommodating. We appreciate your kind words and recommendation! We welcome you back to see us again soon! Could not have head a better experience. The staff was great. The room was beautiful. Location to everything was good. We normally stay in Gatlinburg but we decided to try this. Will be staying there again. Have already given co-workers information about property they are planning a trip in May. My immediate thought after reading your comments, "We need an audio recording of your comments for potential guests when we have to put them on hold." Your comments are awesome; we appreciate them and look forward to your return. We love for you to stay at Whispering Pines Condos. We appreciate your patronage and always look forward to your return visits. If you ever have an issue, let us know immediately; we do not want you to have any disappointments. See you next trip. We discovered Whispering Pines condos about 1yr ago. I will NEVER stay in a hotel/motel again. Great beds, super clean inside and out, well equipped, sweet and courteous staff. Awesome sauce! Thank you very kindly for the kind words, we work hard to make sure you all enjoy a great vacation and we always love hearing how much fun folks have staying with us! Come back soon! Oh, thank you for your perfect review and great, great, great comment. We appreciate your visit and look forward to your return for another vacation with us at Whispering Pines Condos in Pigeon Forge. Stay safe. This was a last minute trip and was so happy that I found Whispering Pines had vacancies. The lady who helped me was so nice. We totally enjoyed the condo. Great!! We are happy to hear you had a great stay! Thank you so much for staying with us and we look forward to seeing you again next time you are in town! As always, Whispering Pines folks we friendly, kind and very helpful. Thank you for your patronage, review, and comments. 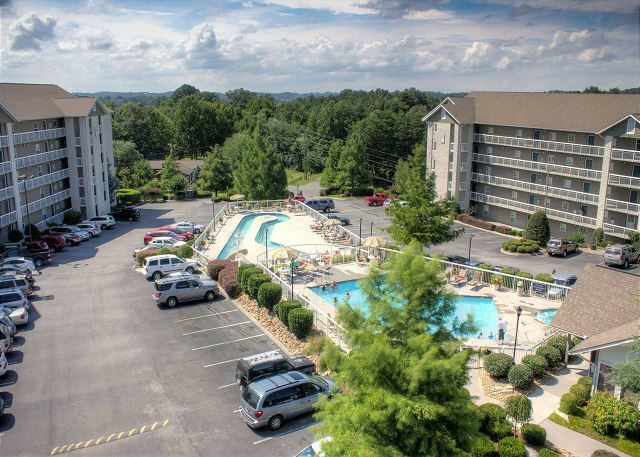 It is always our pleasure for you to vacation with us at Whispering Pines Condos in Pigeon Forge, TN. See you next trip. Thanks so much! Come back and visit with us again. Very comfortable and clean condo. Staff extremely helpful and friendly. Will definitely return ! Thank you for your great review and awesome comments. We are glad that you had a great time and plan to return to vacation with us. Very clean! excellent FIRM mattresses, which is a must and so hard to find when you have spine issues. Very nice, well equipped. Felt like luxury...never staying at a hotel/motel again! We are glad that you had a great Spring Break with us at Whispering Pines Condos. We appreciate your perfect review and excellent comments. Great place to stay, quiet, relaxing. The location is great. The only issue we had were the worn out rock hard beds in our unit. We've stayed at this property before in a different unit and we will stay again but not in the unit we rented this time only because of the beds. If those were replaced this unit would be perfect for us. Customer service is friendly and helpful. Thank you for staying with us at Whispering Pines. We are glad that you enjoyed our convenient location and found condo 412 quiet and relaxing. We are sorry to hear that the beds were not to your preference. 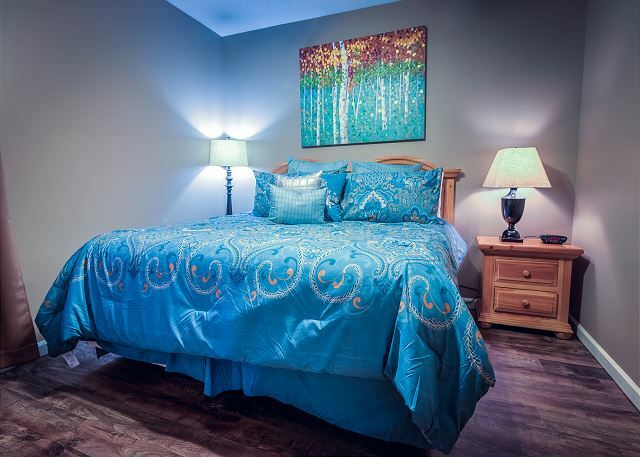 Our condos are individually owned so each condo owner selects mattresses of their choice. We appreciate your kind comments regarding our staff. Thank you for your review and we hope to see you again soon. This is not the first time I have stayed at Whispering Pines, but it was the first for my husband and the couple we were with. As always, the experience is awesome. This is always the first place I check for availability and I honestly, cannot see myself going anywhere else. The rooms are always clean and spacious. I have stayed in a 4 bedroom, a 3 bedroom and now a 2 bedroom. Thank you for staying with us at Whispering Pines. We are so pleased to hear that you had another awesome experience with us. We appreciate your loyalty and wonderful comments regarding our resort. We look forward to seeing you again soon! The staff was most helpful. The property was very clean and quite. 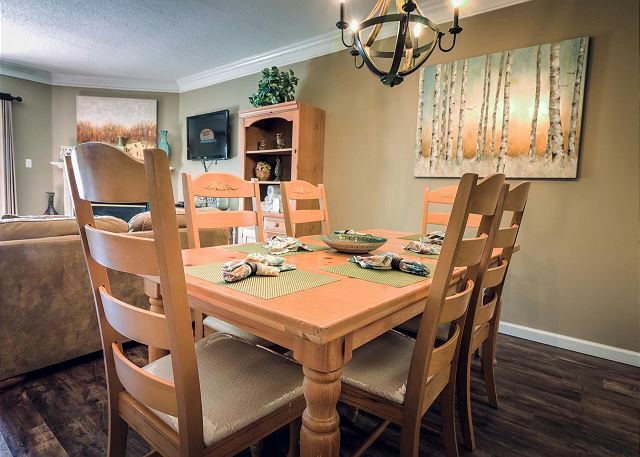 The location is great, just a short distance from downtown but away from the noise. The fireworks from Dollywood can be seen from the property. Thank you so much for the kind words! Glad you enjoyed your stay! The location was perfect. The pool areas were clean and inviting. The picnic pavilion was awesome. A great large space where LOTS of people can gather for a fun time. The condos are independently owned. Our condo was alright. The beds are atrocious!!! I had to buy an air mattress to sleep on- that's how bad it was. These condos are also not equipped with simple everyday items. So be prepared to buy everything. A list of needed items would be nice for visitors. Thank you for staying with us at Whispering Pines. 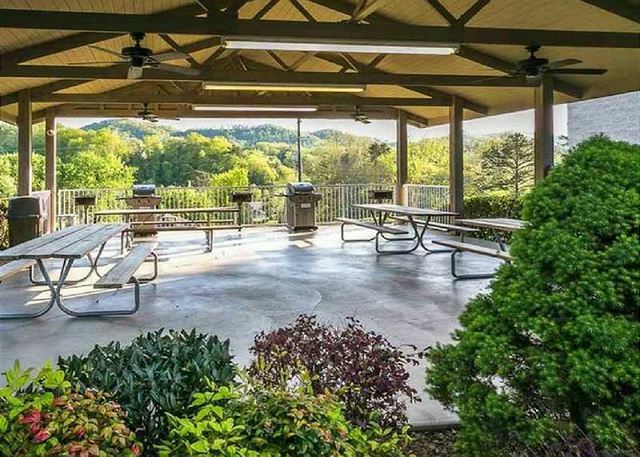 We are glad that you were able to use the pools and picnic pavilion during your stay. We are terribly sorry to hear that the condo mattresses were not to your liking. Please always let the front desk know if you have an issue. We would have been glad to let you use one of our air mattresses. Our condos are equipped with pots, pans, toaster, coffee maker, blender, silverware, bowls and many other items for your stay. If you need something during your stay, please let us know and we will see if we can accommodate you. We appreciate your business and hope that you can visit us again. We love having you! Thank you! Hope to see you again soon. The condo was nice. The only thing I that I wish they would change is to have key code to get in the condo and o key that some could have took and make a coy of we they are staying there. the pool was very nice they are good size they have a lazy river. You can rent DVD in lobby. the have a thing thu the tha give you a free show for 1 person in you party. they are good & nice in the office. Thank you for staying with us. We are looking into possibly switching to key codes in the future. My Husband And I Took Our Grandchildren For Trip To Dollywood. The Condo Was Very Nice, And Most Importantly Clean.The Ladies At The Front Office Was Nice And Accommodating. I Would Difinitly Stay Again. Thank you for staying with us and we are glad you enjoyed your vacation! Come back soon! Comfortable as always. Friendly and helpful staff. Thanks for staying with us at Whispering Pines . We are happy to hear that you had a comfortable getaway with us. Thank you for your kind words regarding our staff. We appreciate you and look forward to your return. We enjoy staying at Whispering Pines. It is a great location. The condo was very clean. My only problem was the love seat was very difficult to get up out of. We enjoy shopping at 5 Oaks, and eating at good restaurants.We also went to some shows. Thank you for your review and for staying with us in unit 412 at Whispering Pines Condos in Pigeon Forge, TN. Yes, there are some great restaurants in the area. See you next time. We have stayed at this Property for years, have never been disappointed! You are secluded yet right in the heart and walking distance to attractions,shops,food etc... You will love it! Thank you for being a loyal repeat guest at Whispering Pines. We are so pleased to know that you have never been disappointed while staying with us, this is music to our ears! We appreciate your wonderful review and look forward to seeing you again soon. There were 6 of us and we had plenty of room. The condo was neat and clean. The lazy river pool was a huge hit with my 10 year old son. Whispering Pines location is off the main roadway a little bit, so it was peaceful and quite. The main office had discount tickets to some of the attractions we went to, so we didn't have to wait in line to purchase them. We had a wonderful vacation and would highly recommend Whispering Pines as a place to stay. We are so happy to hear that you had a wonderful stay at Whispering Pines. We are glad that you had plenty of space for your family and that everyone enjoyed our amenities and the discounted tickets we offer. Thank you for your review and for recommending us to friends and family. We hope to see you again. We appreciate you staying with us at Whispering Pines. 412 is a first floor condo that does have great easy access. Thank you for staying with us and we hope that you can return soon. We were there for 6 nights with two of our grandchildren and it was like being at home away from home. We had everything we needed or wanted in the Condo. We will recommend it to others. Thank you for staying with us in unit 412. So thrilled to hear that you and your family had such a good and relaxing time. We hope you are able to return again soon! Extra rental,good location,plenty of space and clean. Furnished nicely. We appreciate your feedback! We are pleased to hear you enjoyed your stay in condo 412 at Whispering Pines! We look forward to your next visit. Every time we stay at WP we regret having to leave and are already planning to come back soon. Love it. We could not ask for a better compliment than our guests saying they wish they didn't have to leave and can't wait to come back. We appreciate you being a loyal repeat guest at Whispering Pines. Thank you for your wonderful review. We can't wait to see you again in 2015. We have stayed here several times in different units. We have never been happier with the service, cleanliness, and the overall amenities of each unit. When we plan to stay in the Tennessee area, Whispering Pines is where we stay with family. Thank you so much for being a loyal guest at Whispering Pines. We really appreciate you as our guest and your wonderful review. We do strive to ensure that each guest has a great vacation with a clean, comfortable condo and also great service from management and staff. We can't thank you enjoy for your kind words. We look forward to seeing you again in 2015. We rented a 2 bedroom condo for the weekend. The place was clean. It was comfortable. All appliances worked. Thank you for staying with us! We are happy to hear you found the condo to be clean and comfortable. We hope you will return soon! Thank you so much for staying with us at Whispering Pines. We are so happy to hear that the staff was so helpful and that you found your condo to very clean. We cant wait to have you as our guest again. We enjoyed a lovely 3 night stay at Whispering Pines condos in Pigeon Forge, NC. Our first time at Whispering Pines proved to be relaxing and comfortable. 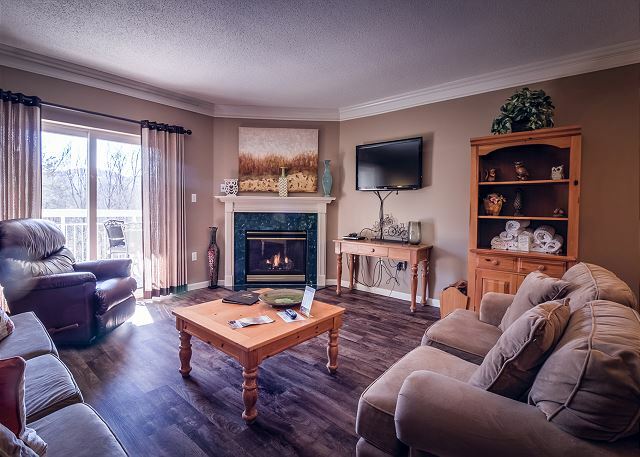 Great location and a quiet, tranquil condo that we would love to visit again. Thank you for staying with us at Whispering Pines. We are happy to have you as a first time guest. We appreciate your comments regarding your recent visit and we hope to see you again. We stayed 4 nights and it was very nice. The unit was very clean and had everything we needed. We were very comfortable. It is in a great location near traffic light #7 and yet it was very quiet. All the staff is friendly and helpful with suggestions. We're going back in December!! Thank you so much for staying with us at Whispering Pines Resort. We are so pleased to know that you enjoyed your stay and found your condo to be clean, comfortable and that it had everything you needed. We appreciate you and your wonderful comments regarding the staff. We are already looking forward to seeing you in December. Great rental. On ground floor across from pool and lazy river and around corner from indoor pool. Thank you for staying with us , we are happy to hear that you had a great stay. We appreciate you and cant wait to see you again. This was our first time staying in a condo in Pigeon Forge. This condo had everything that we needed. There were 5 of us and we had plenty of room. The only negative thing that I might have is that I thought the mattress needed to be replaced. It was a little flat. But other than that everything was excellent. Loved the ideal of getting free movie rentals. A great way to wind down in the late evenings. The pools were excellent also. Thank you for choosing Whispering Pines for your stay in Pigeon Forge. We are happy to hear that you enjoyed your stay. We will inform the condo owner in regards to the mattress needing to be replaced. We are glad that you enjoyed the amenities that we offer during your stay such as the Free DVD movie rentals. We hope to see you again in the future. I reserved 4 units and my brother reserved his own so we had family in a total of 5 minutes ranging from a 2 bedroom to a 4 bedroom. This was our firs time in Pigeon Forge and I know we probably be back again. Maybe not as a family of 23...LOL! Everyone was pleased with their rooms and enjoyed themselves. Glad we were able to accommodate you and that large family! We certainly hope you all come back again!